Spragueia magnifica Grote, 1882, Papilio, 2:183. Diagnosis: Spragueia magnifica is an attractive, distinctive species from the southwestern United States. At the base of the forewing on the costa arises a yellow band that curves downward to the inner margin just before the postmedial line narrowing all the way. This line cuts off a gray basal area divided by a horizontal yellow line. 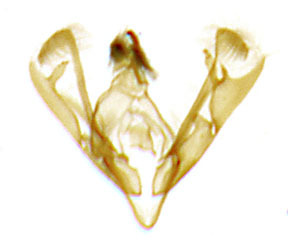 The postmedial line is also yellow curving inward below the reniform and nearly joining the curved yellow band described above. 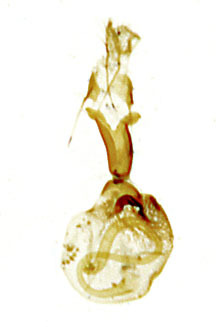 The medial area is tinged with rusty red. The reniform and orbicular are both large, gray, ringed with black, and roofed above by yellow. The subterminal aea is gray and the terminal area is yellow. The fringe is dark gray. 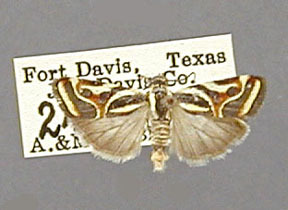 The hindwing is uniformly dark gray-brown. Distribution: (Based only on specimens in the USNM). 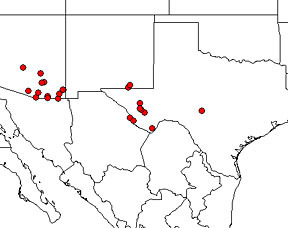 This species occurs in the southwestern United States from central and western Texas in the east, westward to southeastern and south-central Arizona.